The question EW has been asking in polls throughout this tournament is “Whose love is stronger?” In Round 2, voters favored Gossip Girl‘s Chuck and Blair over Peter and Olivia by a 10.6 percent margin. But I have to argue that only the strongest love – like that shared between Olivia and Peter – can weather storms of cosmic proportions this Fringe couple faced for five seasons. Visit EW's PopWatch to read the full article. I like the "weathering storms" argument in the article. I still have to steel my courage to rewatch "Marionette". A close second to Peter and Olivia in that regard would have to be John Crichton and Aeryn Sun (Farscape). That relationship also had two versions of one lover and other weirdness. Sci-fi couples have to weather the unimaginable on top of the usual noise that any relationship creates, so I would give them higher props than Ross/Rachel, Lucy/Ricky, etc. Starbuck and Apollo were also mentioned. It's been a while since I rewatched BSG, but I feel that their issues were more an aspect of their strong personalities than the situations they were in. Those two would have been at odds in a sitcom, or a cop show , or a doctor show, or any show. And just as fun to watch. This is all very subjective and a matter of personal preference, but I was personally affected by Peter and Olivia's relationship more than any of the others. 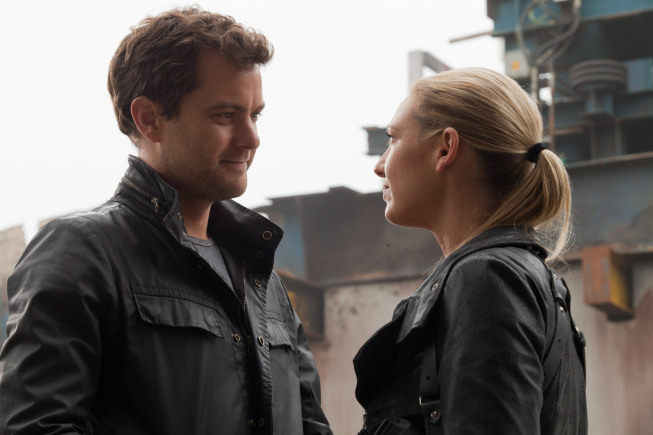 Really this love affair between Peter and Olivia, is something that has become unforgettable by more peculiarity of moments between the two, than the intensity of the passion between these two protagonists of Fringe, I guess. In the conduct of our beloved series, had several moments of passion and of love, acceptance and refusals between Peter and Olivia, but as this article points out the EW, the touch that distinguishes this relationship from others is that situation which Peter, even without knowing anything, have loving relationships with both Olivia (s), thinking she (s) were only one, the one he truly loved. This, I think, was the point of the unusual. For me Peter always loved a Olivia, but also by the other side, I think, both Olivia loved it. And, to consecrate a beautiful end, Peter is left with only one, that of his true love. Peter and Olivia have formed one of the greatest couples movie, no doubt. Season 5 is the LAST Season? Noooo! Say it ain't so! How could they leave us? There must be books to continue this brilliant saga.